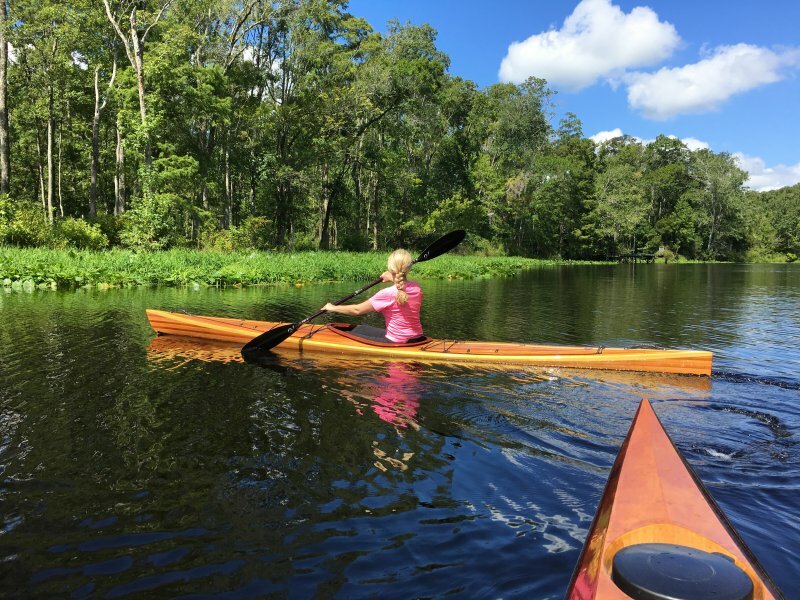 On 8/13/2016, Suzanne Nye launched her Bjorn Thomasson Design Frej kayak in Fleming Island, Florida. 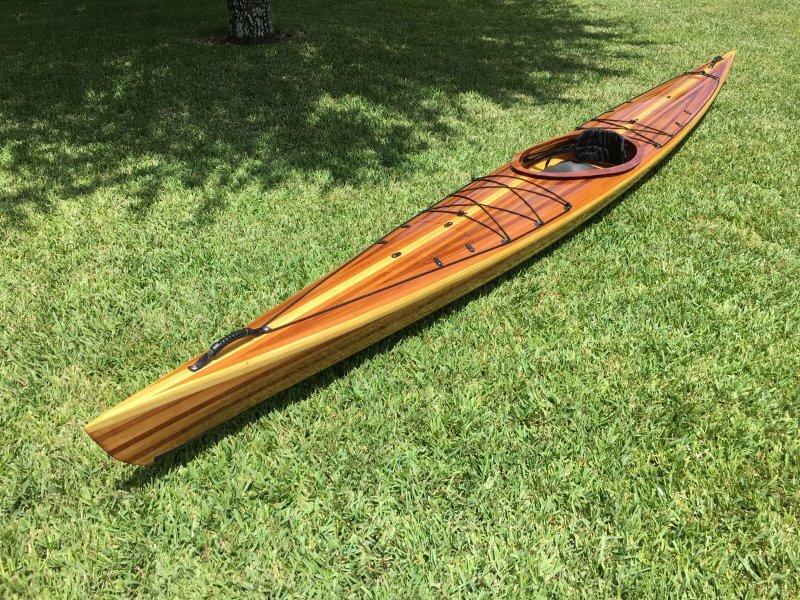 Her husband Mark, built the kayak using western red/Alaskan yellow cedar strips for the hull/deck and sapelle plywood for the cockpit coaming and bulkheads. 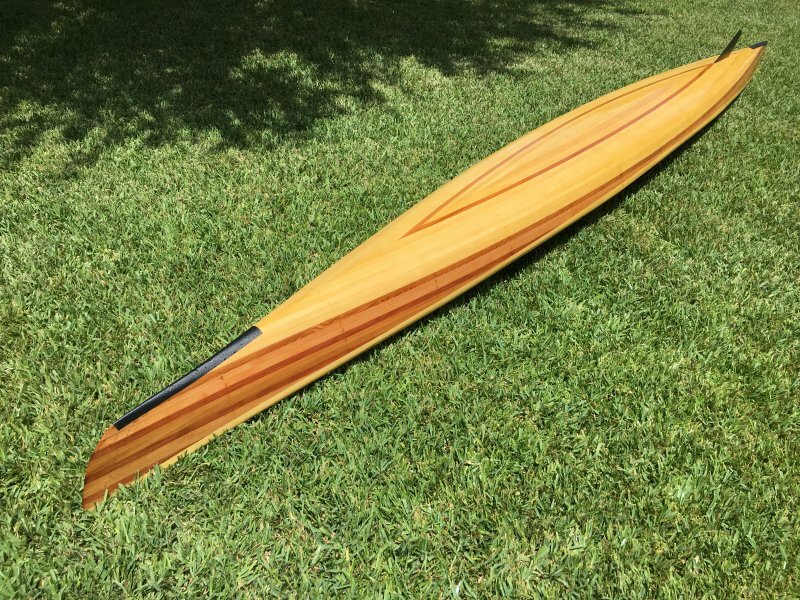 The boat is equipped with foot braces and skeg from Kayak-Sport. Construction took about five months and the boat weighs 39# fully rigged. 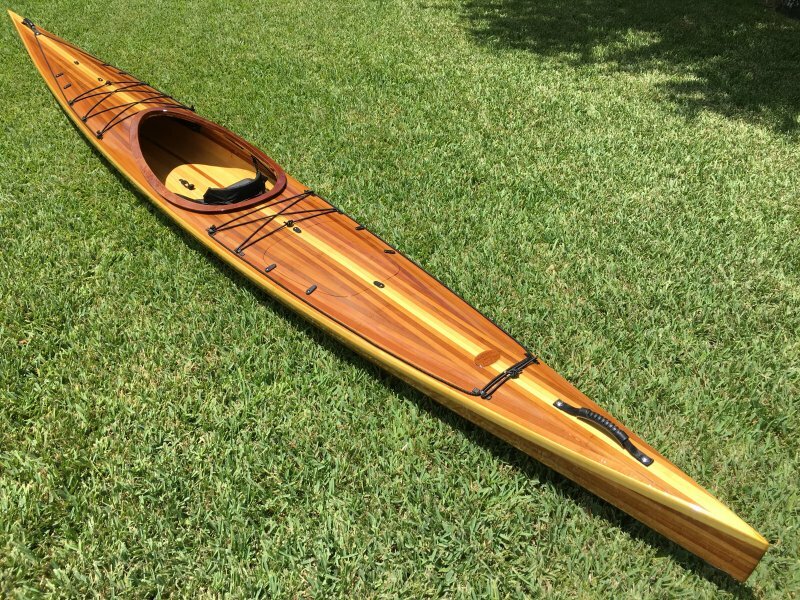 This kayak, which is 15′ long and has a beam of 19.1″, was scaled down to 90% of the original Frej size in order to better fit Suzanne’s small stature. 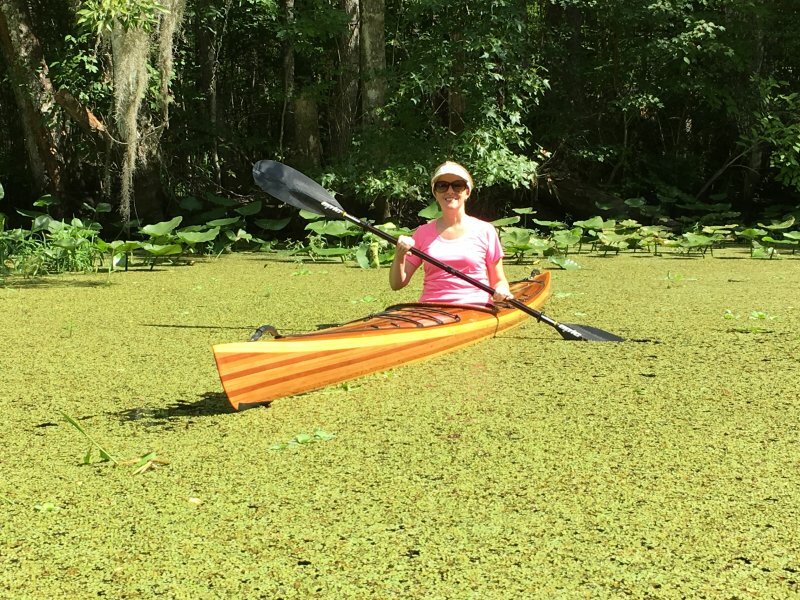 Suzanne will primarily use the boat for exploring the many springs and streams in the Ocala National Forest.